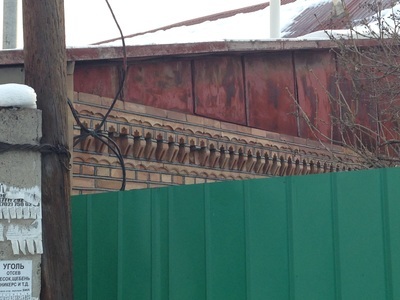 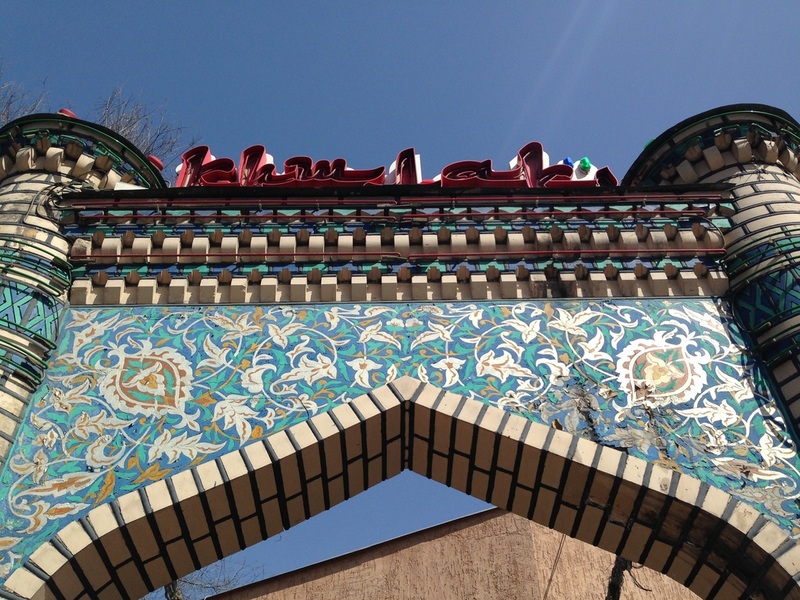 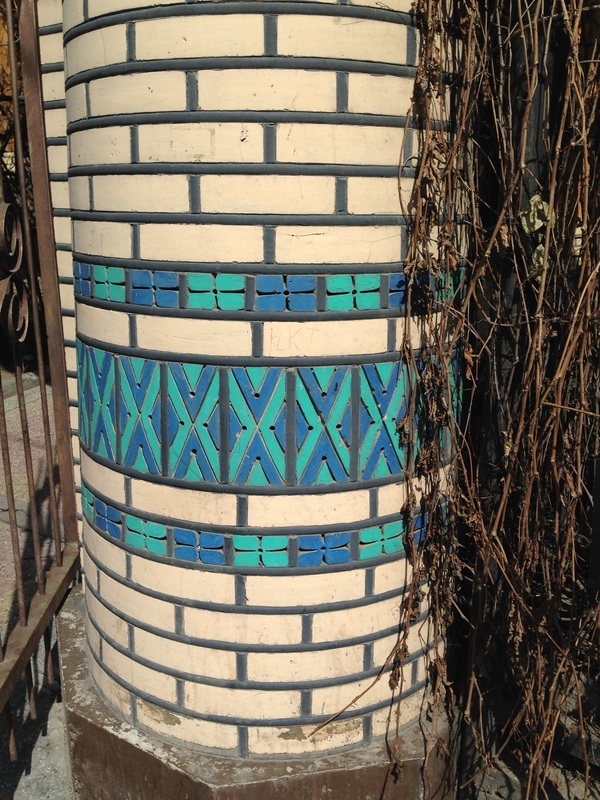 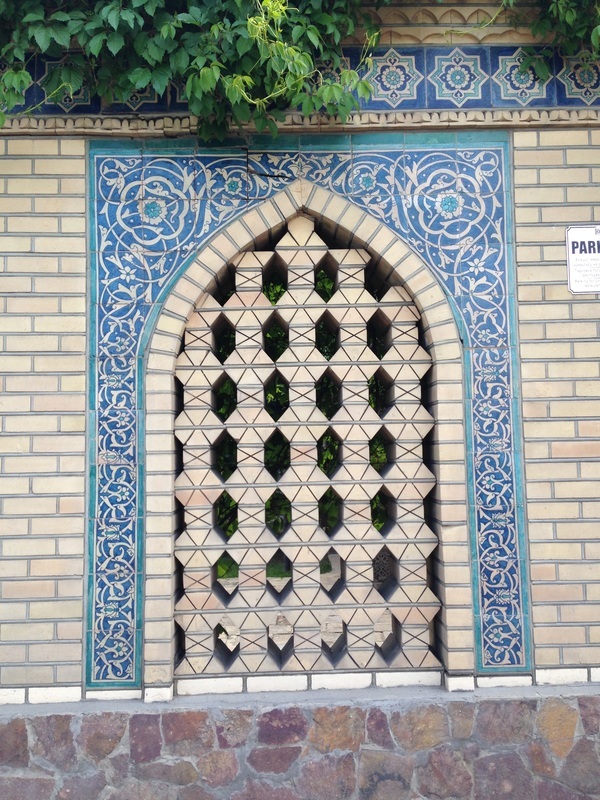 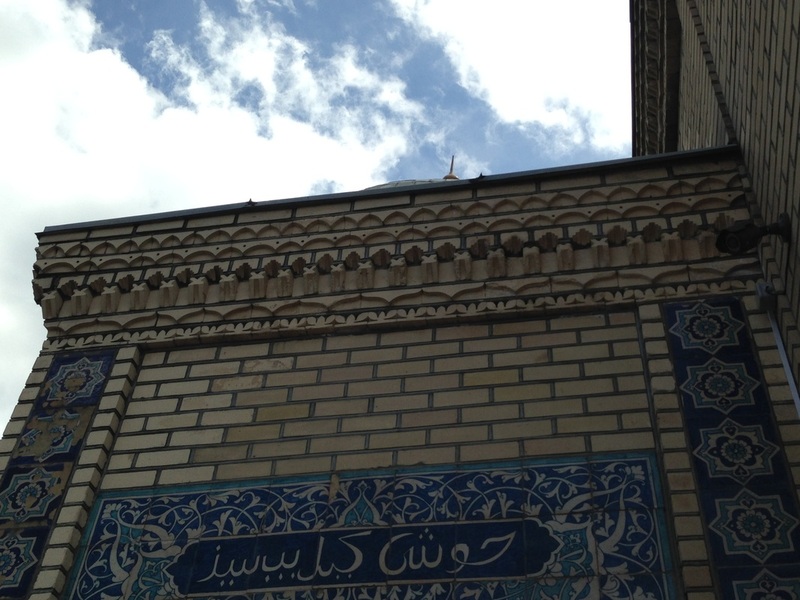 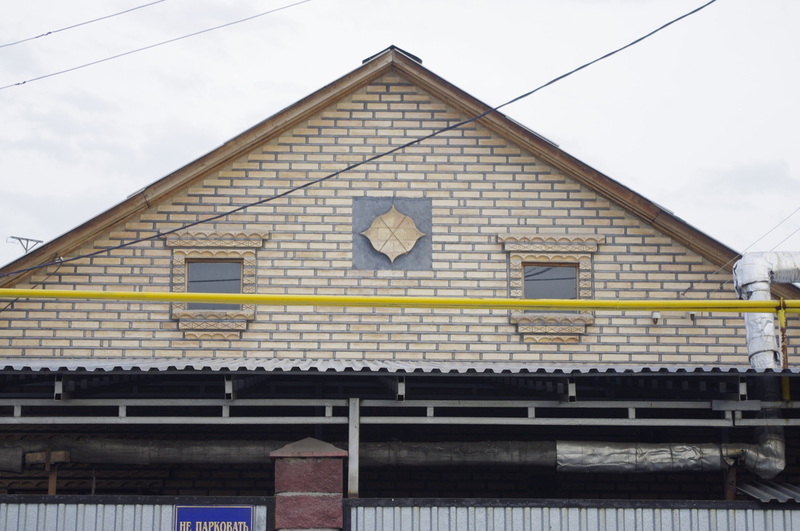 The first time I noticed these carved bricks was in the southern Kazakhstan city of Kyzyl Orda. 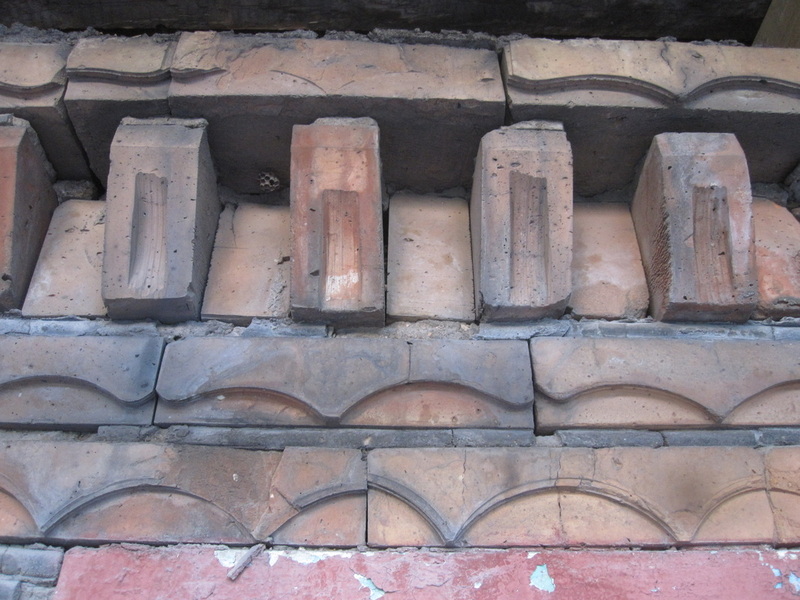 I walked around the place for days, taking photos of dozens of private homes and apartment blocks, all made with these unusual building blocks that had been fashioned from light-clay and scraped into ornamental patterns. I've since kept an eye out for these houses in Almaty. 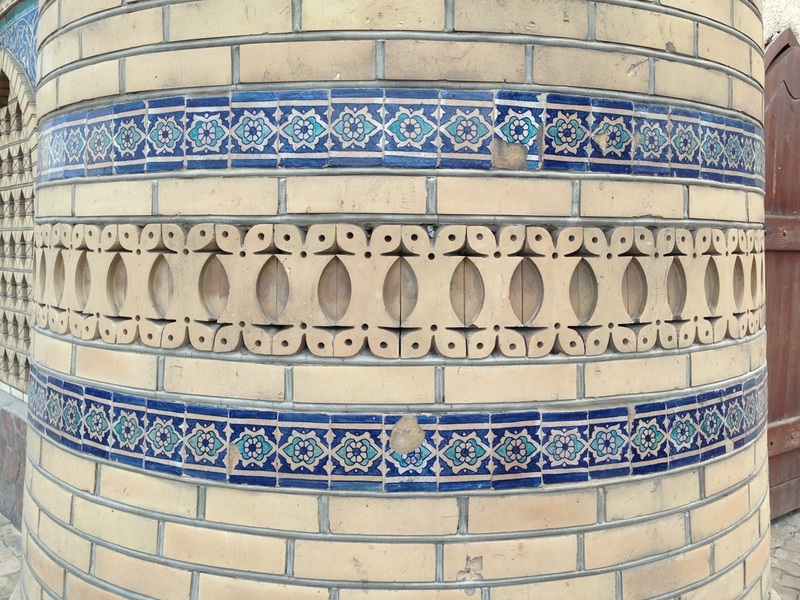 They are few, but they are always beautiful in their rich, repetitive detail. 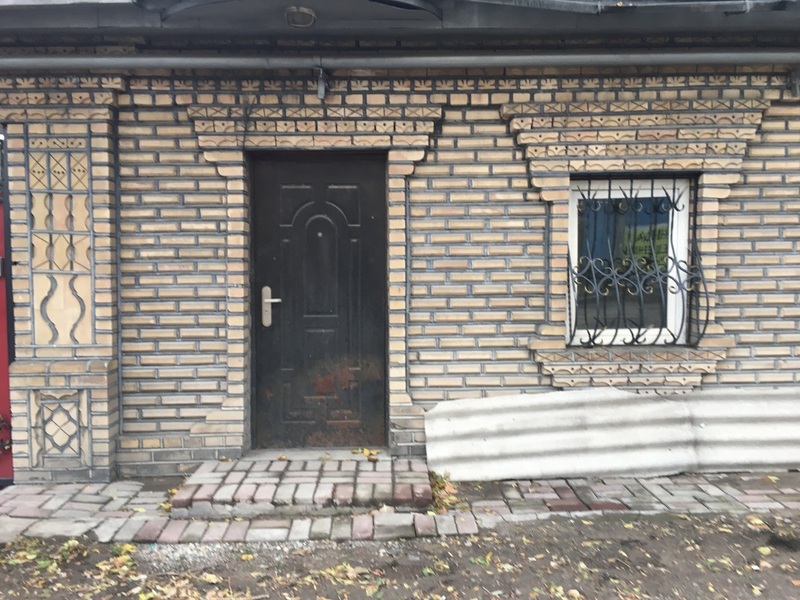 I could find only a couple of sites that show the brickwork I have in mind, and they call it khudozhestvennoy kladki iz oblitsovochnovo kirpicha [художественной кладки из облицовочного кирпича], or "artistic masonry with brick cladding." 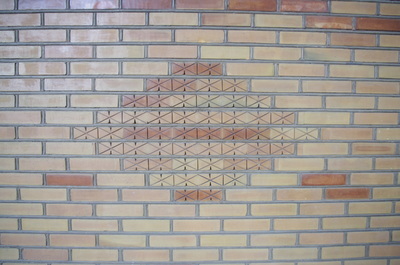 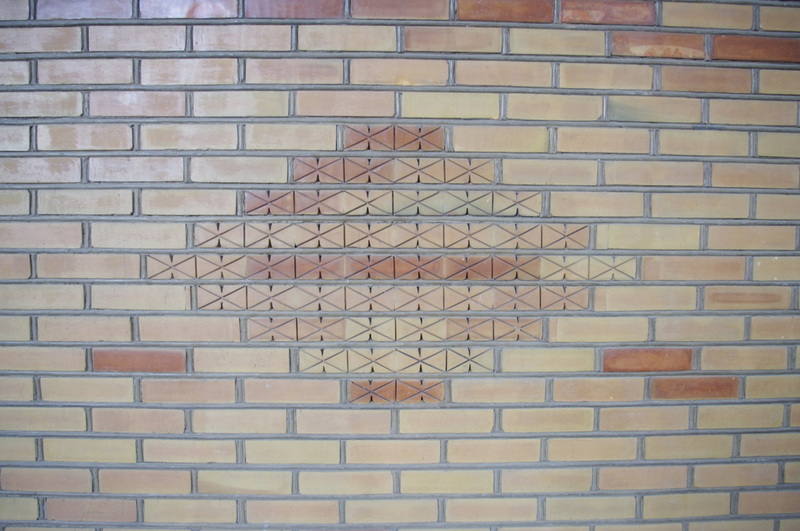 The bricks themselves might be called figurnye kirpichy [фигурные кирпичи], or "shaped bricks." 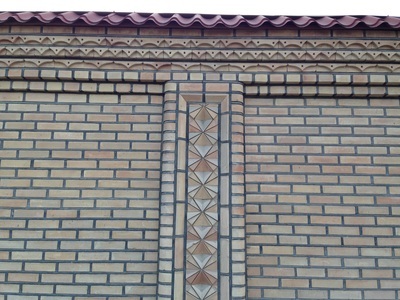 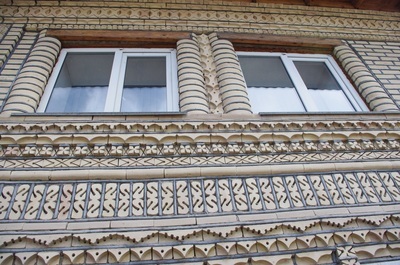 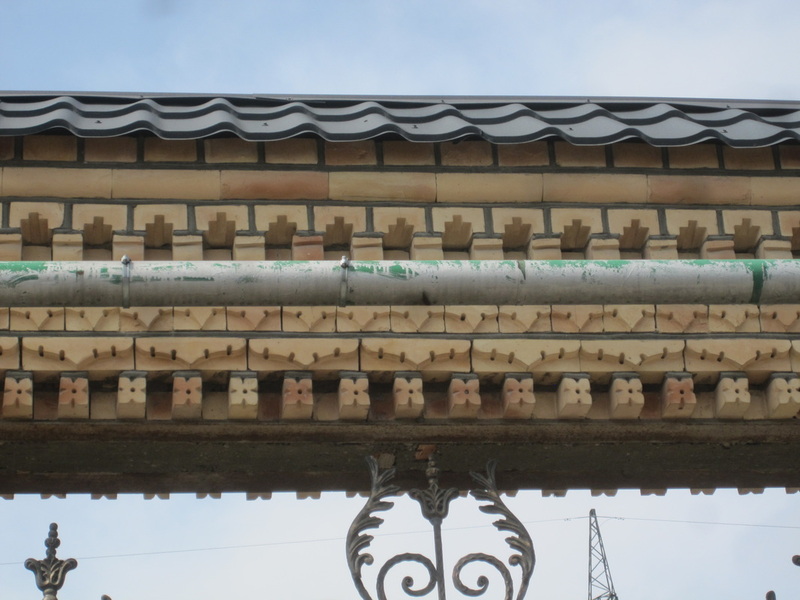 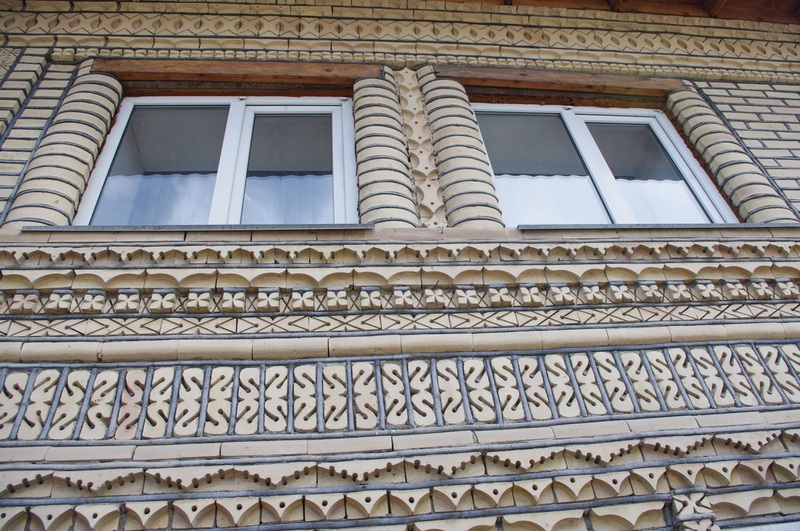 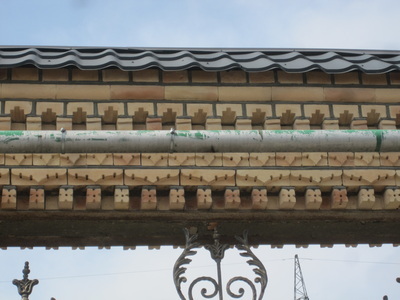 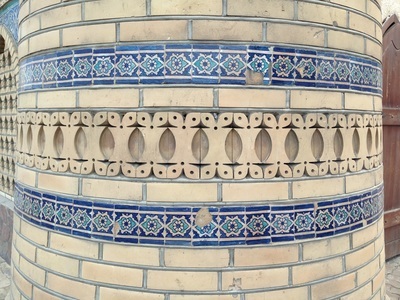 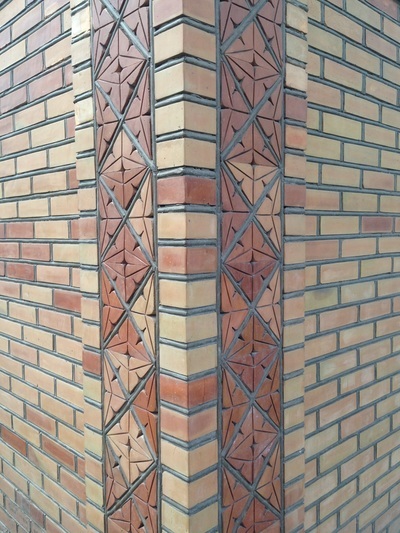 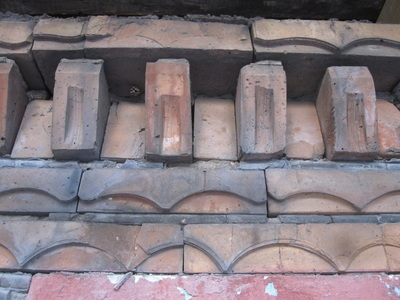 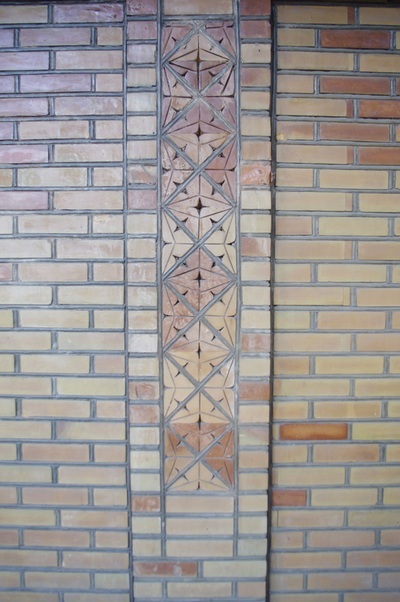 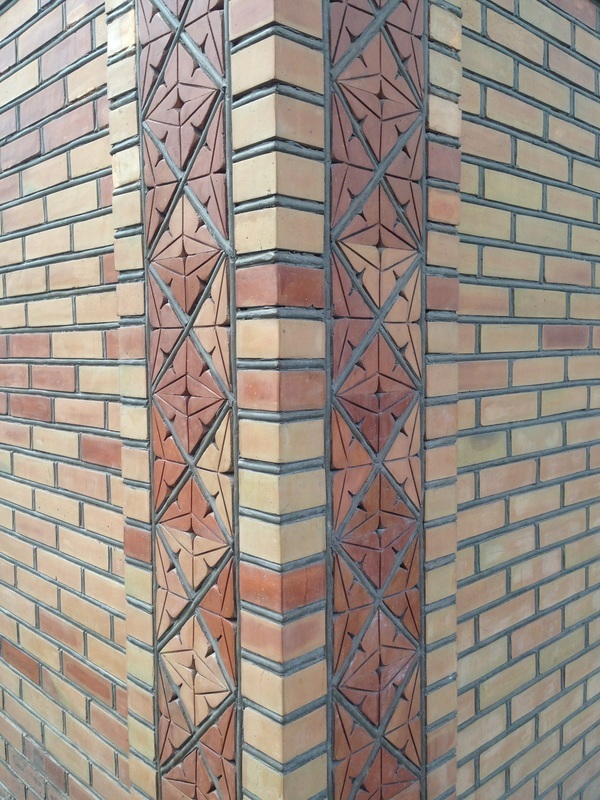 As these pages detail, the shaped bricks are often used to form decorative cornices and "belts", poyaski [пояски]. 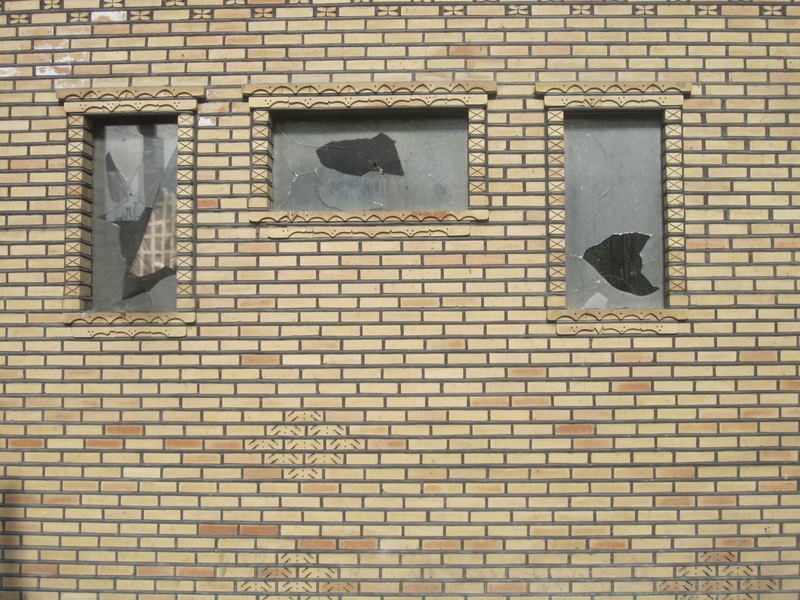 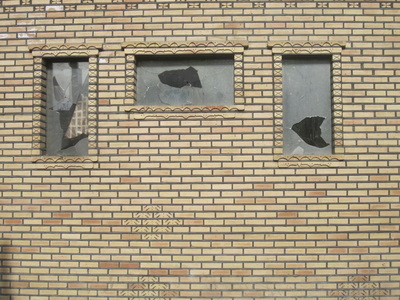 What they don't explain is where this art form came from, or how the bricks are molded. 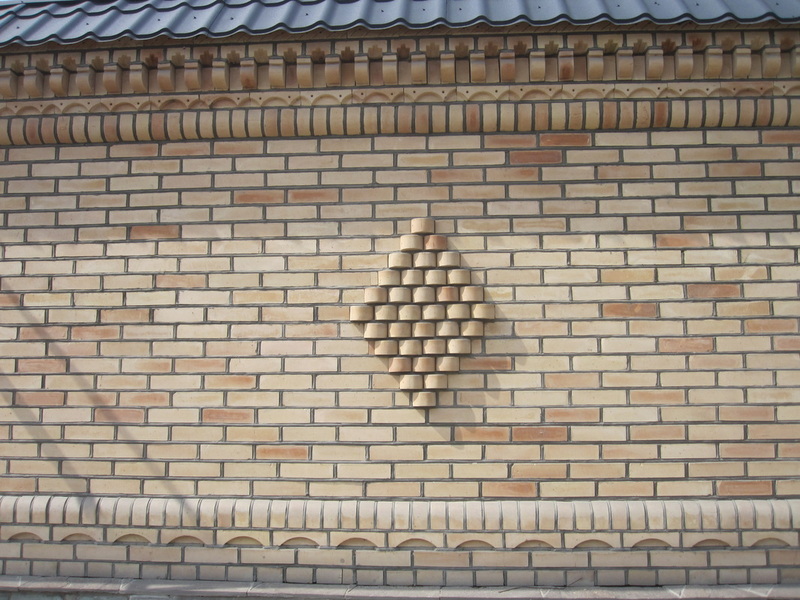 Despite obsessive Googling, I have yet to find the final word on this architectural phenomenon, but I have a few beguiling leads. 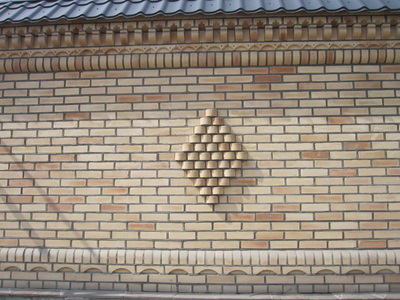 This kind of brick appears frequently in Central Asian mausoleums, such as the Aisha Bibi tomb outside of Taraz. 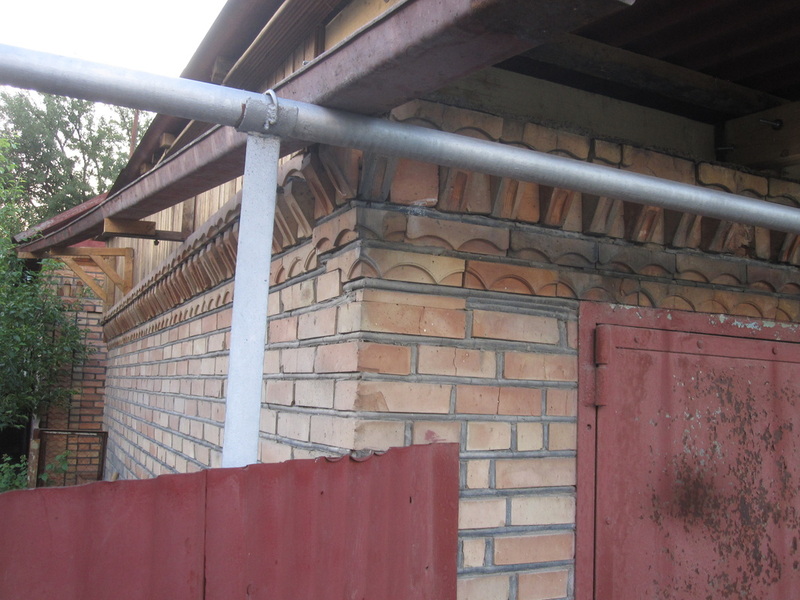 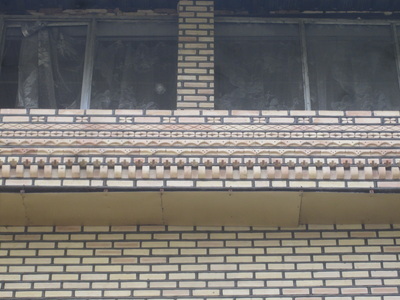 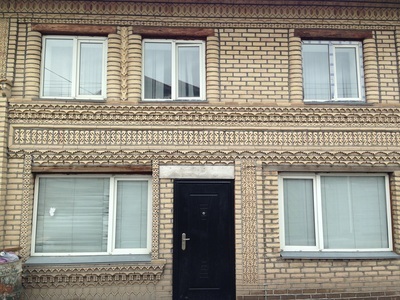 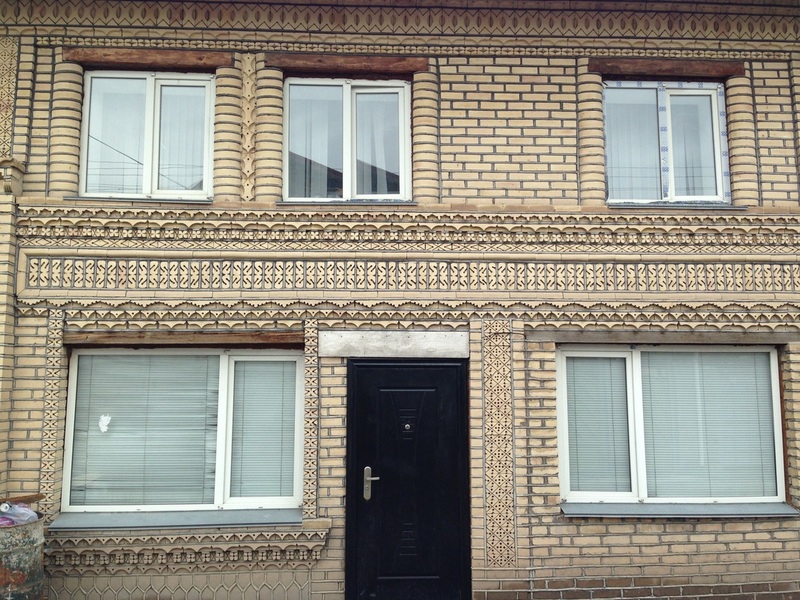 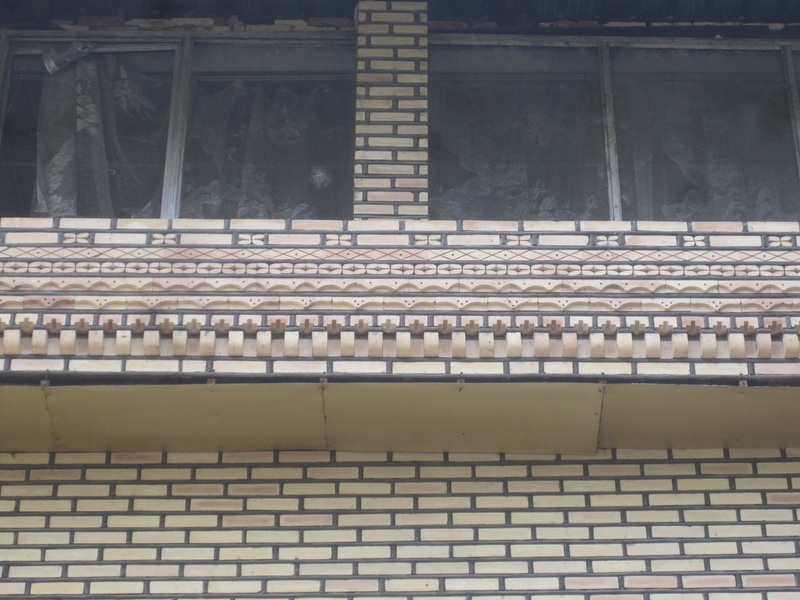 Brick architecture in general is very much the domain of Central Asia's settled peoples like the Uzbeks, and I've seen evidence that at least one of these houses was kept up by a patriotic Uyghur. 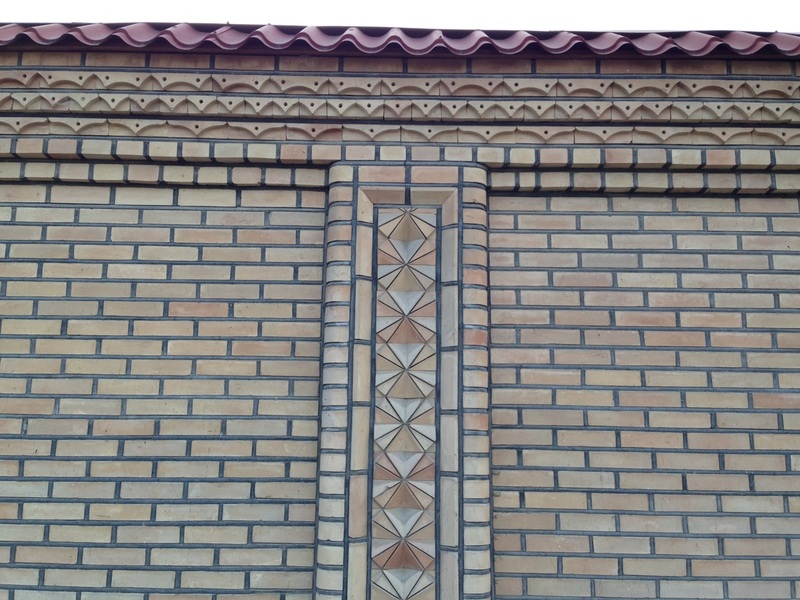 Could these brick edifices be architectural identity statements from emigrant Almatians, or are they just showing off a particularly beautiful style that any old homebuilder can emulate?